Nadine Samonte and Piolo Pascual for the Remake of 'Esperanza'?! After the success of the remakes of the two hit 90's TV series called "Mara Clara" and "Mula Sa Puso", ABS-CBN is now on the works of bringing a new remake of another hit 90's soap opera. This time it's "Esperanza"! 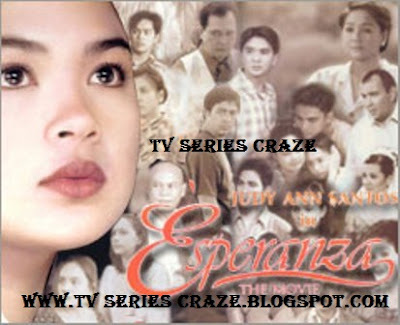 "Esperanza" is another hit TV series of Ms. Judy Ann Santos which replaces her "Mara Clara" which ran for two years from 1997 to 1999. It's an all-star cast that truly hit the Primetime block of Philippine television together with "Mula Sa Puso" in the late part of 90's. At first, the new "Mara Clara" superstar Kathryn Bernardo is considered to portray the said role. She was even tagged as the new Judy Ann Santos for successfully playing the role of Mara and now being consider as the newest "Esperanza." But on the recent reports, they say that the Kapamilya network offers the lead role of "Esperanza" to Nadine Samonte who is now leaving her home network the GMA-7. And she will be paired for the first time to the Ultimate Heartthrob Mr. Piolo Pascual. Nadine and Piolo then will reprise the characters of Esperanza and Anton respectively which were originally portrayed by Juday and Wowee De Guzman! If that's the case, Piolo then will once again become part of the newest "Esperanza". We may recall that Papa P. is also part of the original "Esperanza" wherein he played the role of Bryan and marked his first teamup with Juday! sana naman confirm na iyan,,kase malayo ang mararating ng batang iyan na si NADINE SAMONTE sa gandat star apil,,magaling pang umarte,,alagaan lang ng dos,,sue na sana,,na lilipat na sya,,kase may offer naman,,pang lead role sya,,sana siya si ESPERANZA,,at wag si piolo,,kase nagawa na ni piolo iyan diba,,noon wid juday,,wag sya,,,iba naman,,bet ko si EDWARD MENDEZ,,RAFAEL ROSEL,,JON AVILA,,JAMES UY,,JOSEPH BITANGCOL etc,,pero wag si pj kase nagawa na nya iyan,we need sonething new naman,,,welcome sa kapamilya nadine! !u deserved this!! We Want Eliza Pineda for the Esperanza Remake! Pagbigyan nyo naman yung iba gustong-gusto na naming mga ELites na magkaroon na ulit ng sariling TV Show si Eliza! pagbigyan nyo naman yung iba kung paulit-ulit nakakasawa na!! !